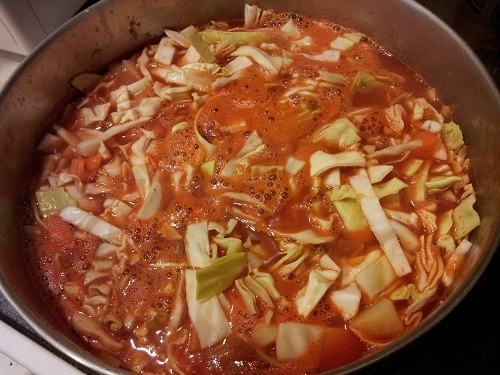 Cabbage soup is a must for the colder months of the year! It is full of nutrition and a large pot stewing on your stove will make your house smell heavenly, especially if you brown your bacon first! It's a tasty meal that will get you excited about leftovers! Adding a pot of soup each week to your weekly menu plan is a great lifestyle solution to adopt! 1 whole head of cabbage chopped. Remove the tough outer leaves and center stem. Cook the bacon in a skillet and chop it in fine pieces as it cooks. Remove it from the pan when it is crispy and drain it on paper towels. Put aside for later use. In a soup pan add 2 T oil and the onions, garlic, and celery and fry them for a few minutes. Add the carrots, potatoes, cabbage, broth, tomatoes and juice. Bring to a boil and reduce heat. Simmer until vegetables are all tender. When ready to serve, add the bacon, jalapenos or Tabasco, to the soup or let everyone season their own. All soups can be tweaked to your taste buds! Vegetable soups cooked in broth, versus a cream base, are a healthy diet habit. 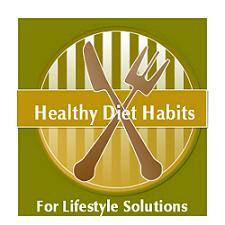 They offer nutrition from various vegetables and are generally a low calorie, filling meal. 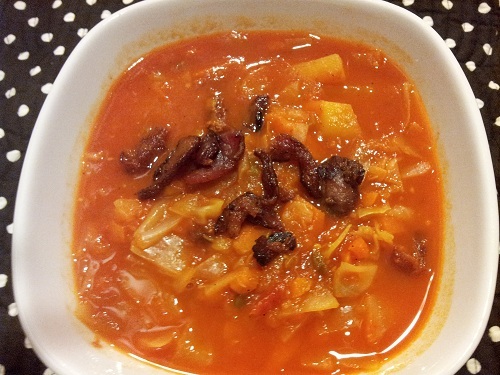 Pair this cabbage soup with a slice of hearty bread and a salad! The added bonus is leftovers. Our family is on a mission to save money, and adding a weekly soup pot meal to our dinner rotation has saved us the temptation of eating out and is a frugal choice!